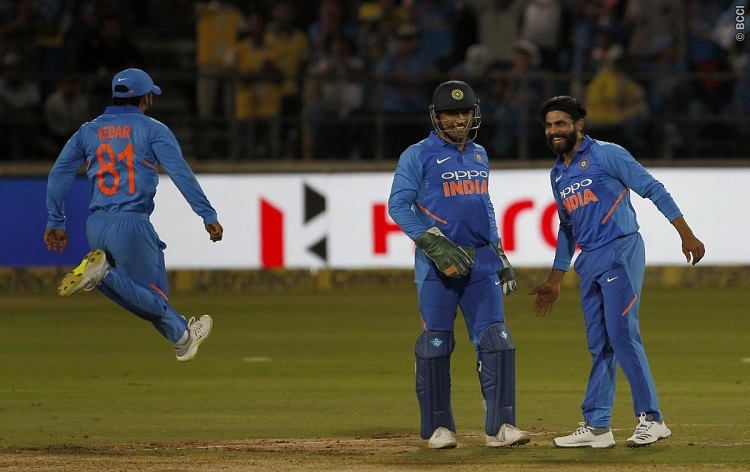 In Cricket, Skipper Virat Kohli's 40th ODI ton and pacer Vijay Shankar heroics in the 50th over spell helped India to register an eight run victory against Australia in the second ODI at Nagpur last evening. Sent to bat, the hosts bowled out for 250 in the 49th over, thanks to Kohli's 116 off 120 balls knock which lifted India to a decent total. The Aussies was in the chase until the last over when, they needed 11 to win with two wickets left. Marcus Stoinis was lbw on 52 by Vijay Shankar on the first ball, and Adam Zampa was bowled two balls later to wrap up the visitors for 242. India now lead the five-match series 2-0. The third ODI will be played in Ranchi on Friday.